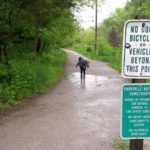 Right in the heart of Parkville, Missouri, is Parkville Nature Sanctuary, a 115-acre wildlife preserve with about 3 miles of trails. There are a few options to choose from when it comes to trail distance. 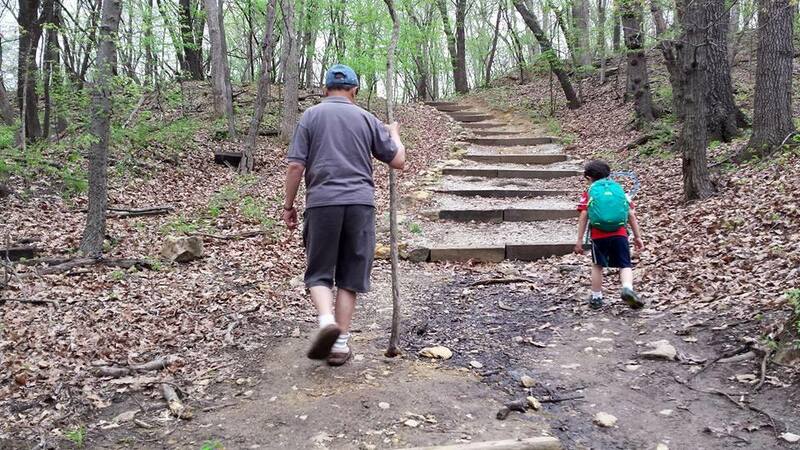 For the easier trail, take the .9-mile Old Kate Trail, which is a loop that travels along the valley floor and is very toddler-friendly and relatively flat except for a few short inclines that are doable for little legs. 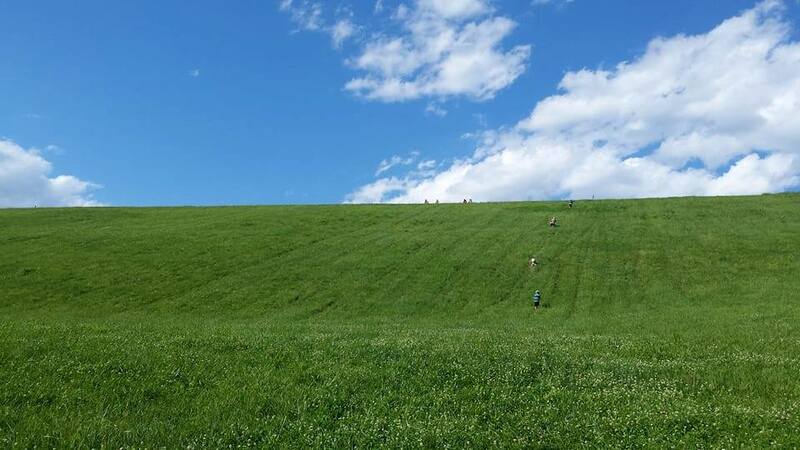 If you want something longer, add on White Tail Trail for another 1.5-mile loop with a bit of an uphill climb. There are a couple of interesting stops along the way worth noting, as well as plenty of benches along the trail for breaks to nurse, eat, sightsee or simply relax. The Girl Scout cabin provides picnic benches that is a great stopping place for snacks and to let the kids down from the carrier and get their wiggles out. 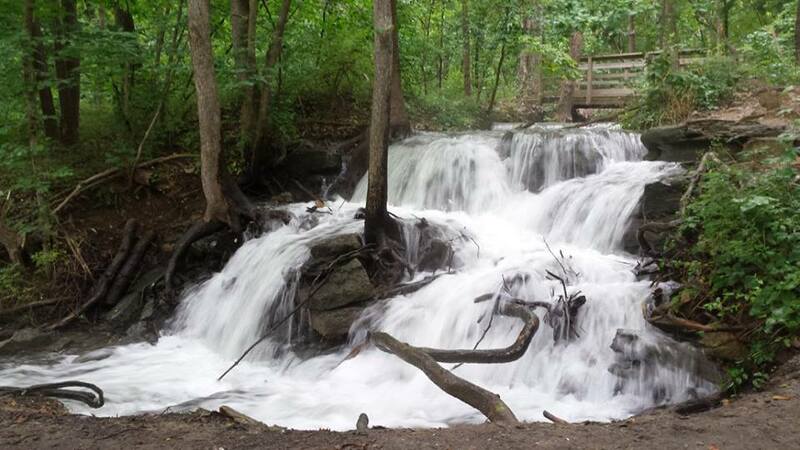 But the highlight is the waterfall, and the best time to see it is after a heavy rainstorm when it’s at its fullest. 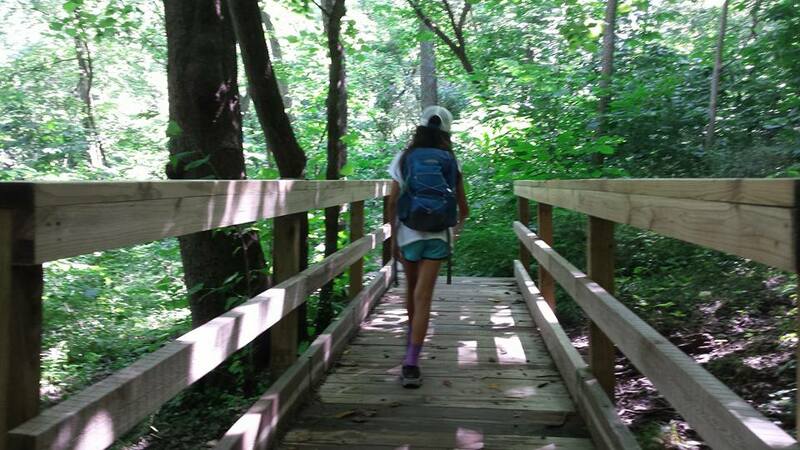 Dragonflies and butterflies also live at the sanctuary, so make time to stop and enjoy them on the trail. 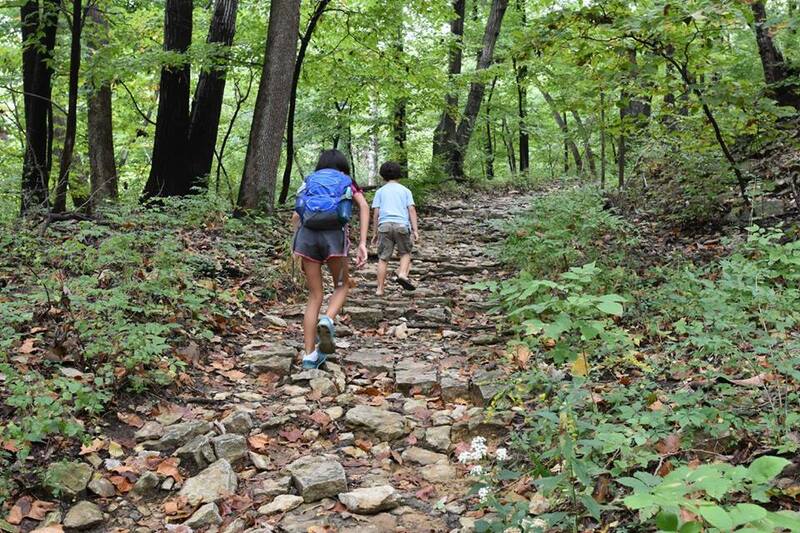 If the kids are looking for additional adventures, there are a few geocaches hidden on the trails. Be careful on the bridges when it’s wet or icy as it can get pretty slippery.